Maintaining a diet can be difficult and challenging, so it’s vital you take steps to stay focused on your goals. Your journey to losing weight and enhancing your fitness will involve many distractions and roadblocks. Inability to fight temptation will result in failure, and it’s vital you take steps to prevent this. People often make the mistake of starving themselves when trying to lose weight, which only increases their of odds failure. When you are hungry, you are more likely to give in to temptation and eat unhealthy foods, but you can use healthy snacks to help lose weight. 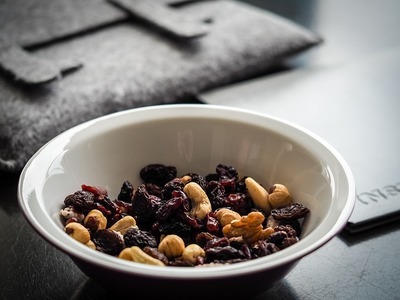 This article will provide some great healthy snack ideas. Your home is the easiest place to stock healthy snacks. But before you get started, make a list of common unhealthy snacks you enjoy, and come up with a healthy alternative for each. For example, if you enjoy potato chips, you might want to try baked chips instead. If you have a sweet tooth, replace unhealthy candy with delicious fruits, such as pineapples, bananas, or oranges. You might also enjoy snacking on baby carrots. When you stay full on healthy snacks, you experience less temptation to give in and eat unhealthy snacks, which optimizes your chance of sticking to your diet and reaching your fitness goals. Healthy snacking on the go is often a challenging task, and the prevalence of fast food restaurants does not make it any easier. Luckily, having a constant supply of quick healthy snacks makes it easier to stay true to your weight loss goal. If you are not sure what to choose, actually, there are a wide range of smart and healthy snack choices out there. Take Majan's crunchy green peas as an example of a healthy, great tasting treat. You will find it hard to believe these peas are healthy when you notice how great they taste. Keeping a bag with you will help keep the temptation to indulge in junk food at bay. 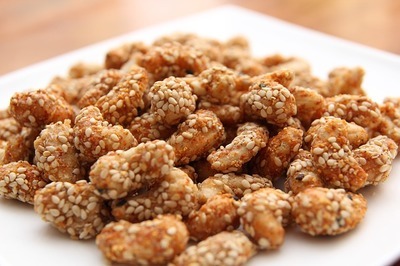 This snack is not only delicious, but it’s also a great source of protein. Eating healthy at work can be a daunting and difficult task, especially if vending machines are nearby. Co-workers who want you to join them for lunch at a fast-food restaurant won’t make your goal any easier, which is why using healthy snacks to lose weight is even more important. If you have access to a fridge while working, stocking small fruits, such as grapes, is a great way to keep easy access to healthy treats. If work policies don’t allow eating while working, healthy snacking becomes even more difficult than before. When no other options are available, keep protein bars in your locker or in your car, and eat them before you come to work and during your breaks. Eating healthy and sticking to your diet does not need to be hard or challenging. You can take steps to simplify the process and to make sticking to your diet and weight loss goals as easy as possible. It’s vital you combat temptation by keeping healthy snack options on you at all times, which reduces the desire to eat unhealthy snacks or meals. Each healthy snack moves you one step closer to your fitness and weight loss goals. Even though you have healthy snacking options, it won’t always be easy to avoid junk food. Therefore, it’s also vital you learn to build and enhance your willpower. Great article full of helpful advice. I must try those crunchy green peas you mentioned.